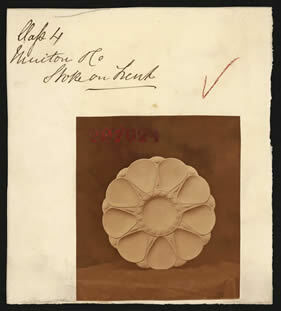 A design for an oyster dish, the Minton factory shape book indicates that this was shape number 1324 with the title 'Oyster Plate, Nine Oysters'. This shape was designed for decoration with majolica coloured glazes. 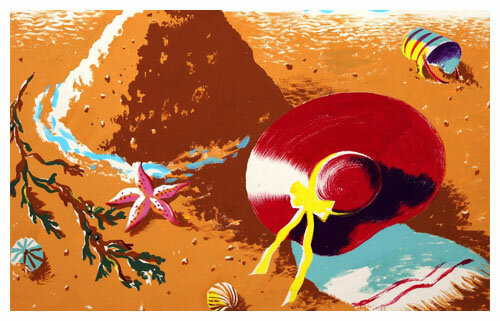 See Minton, The First Two Hundred Years of Design & Production, Joan Jones, Swan Hill Press, 1993, page 351.